So powerful is my White Sox fandom that it infected my husband and 4-year-old son (the 1-1/2-year-old has not professed a preference yet.) So it has come to pass that the Cubs have made it to the World Series for the first time since World War II and the whole town is cheering — except us and the four other White Sox fans we know. Basically, if Chicago were The Brady Bunch, the Cubs are the Marcia and the White Sox are the Jan. That should explain everything. I knew all season the Cubs would make it this far. They had an objectively unstoppable, unflappable season, steamrolling the way the White Sox did in 2005 when they won the World Series. The Cubs had a good team. I’d made my peace with this moment long ago. Saturday night, we heard fireworks around the city celebrating the Cubs’ first entrée to the World Series since the microwave was invented. I felt a bit of a sinking feeling. Despite knowing the Cubs were good, they were not our team — I actually feel more of a connection to the Cleveland Indians since the Sox play them so frequently, I know their roster. It felt weird to be the few people not celebrating in a town of people who were. It reminded me of being in my 20s and my friends started to get engaged before me and I’d feel mad and then extra-mad at myself for having such childish emotions. This was not a fun way to feel. 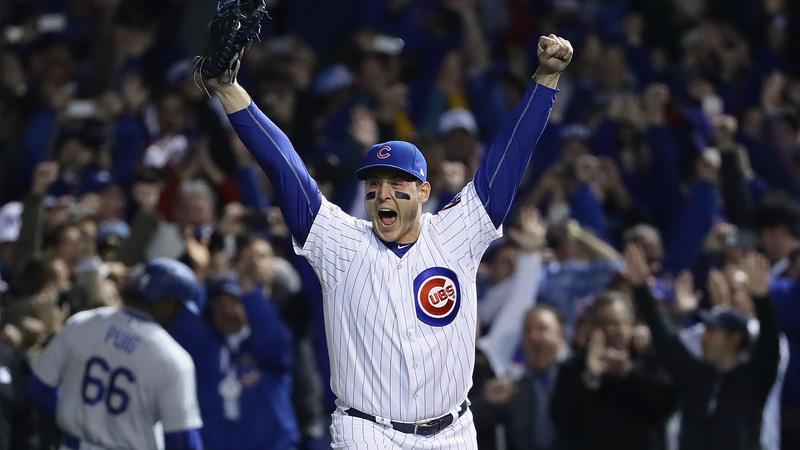 So at breakfast the next day, I told my son, “So, the Cubs are going to the World Series — and that’s a big deal. Our friends are going to be really happy at school on Monday, which will be fun.” My son replied, “I wish nobody liked the Cubs.” My husband and I resisted the urge to agree with him. Then I remembered the small celebrations we had at school when the Bears or the Bulls went all the way. “Well,” I said, “There might be a party at school over it!” My son didn’t seem too excited. Then I remembered something from the election season. It was the way I felt whenever Donald Trump said “Chicago.” He never said it innocently. “Chicago” was coded talk that I found offensive. He said “Chicago” the way Ted Cruz said “New York values.” I know that Donald Trump himself probably couldn’t care less if the Cubs won or not (especially since the Cubs’ owners, the Ricketts family, are big Trump donors) but for all Trump had done to run the city’s name through the dirt at his rallies and debate performances, this would be a nice time for the city to have something extra to be proud of. “Yeah!” said my son, and he began, inexplicably, to chant “Baby Trump. Baby Trump.” Sure, why not? Go Cubs. Baby Trump.